On June 5, HBC (formerly Hudson’s Bay Company) reported its first-quarter earnings and announced that it would close its flagship Lord & Taylor store in New York City as part of its larger plan to close 10 brick-and-mortar locations. Separately, the company also announced the sale of its online e-commerce unit, Gilt, to Rue La La. HBC acquired Gilt in early 2016 for $250 million in cash. The Lord & Taylor news comes less than six months after HBC’s announcement that it was selling the building housing the New York Lord & Taylor flagship to WeWork for $850 million. At the time of the announcement, in October 2017, HBC said it was retaining 150,000 square feet of space in the building for its retail store. One notable exception to the trend of closures such as this is Nordstrom’s opening of a new flagship men’s store in New York City this April. 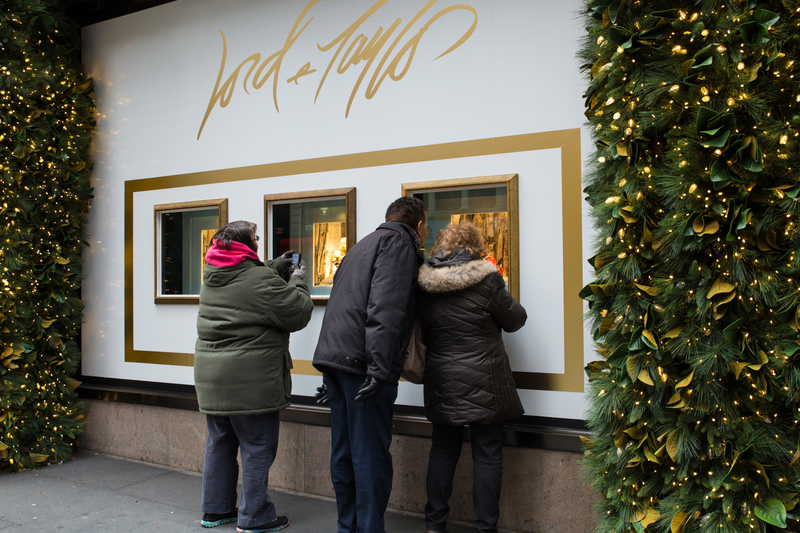 Lord & Taylor has changed hands several times in its 190-year history. The original New York location was founded as a dry goods store by Samuel Lord and George Washington Taylor in lower Manhattan in 1826. The Fifth Avenue Lord & Taylor flagship opened in 1914. The business evolved over the decades and was acquired by May Department Stores Company in 1986. The May Company was then acquired in 2005 by Federated Department Stores, which sold the Lord & Taylor chain to private equity firm NRDC Equity Partners for $1.2 billion in 2006. NRDC subsequently purchased HBC in 2008 and HBC’s portfolio now includes Saks Fifth Avenue and German retailer Galeria Kaufhof. Current-day Macy’s, like HBC, is the product of many department store mergers and acquisitions. R.H. Macy & Co. was founded in 1858, and the store acquired several chains around the US in the first half of the 20th century. In the mid-1980s, Macy’s launched a failed attempt to acquire Federated Department Stores, but ended up acquiring Bullock’s and I. Magnin. In 1994, Macy’s successfully merged with Federated and, in 2005, the company signed an agreement to acquire May Department Stores, which owned Marshall Field’s in Chicago. Marshall Field’s stores were subsequently rebranded as Macy’s stores. In 2007, Federated changed its name back to Macy’s. The closure of the Lord & Taylor flagship marks the end of an era and is the latest in a series of legendary department store closures that include B. Altman, Gimbels and Bonwit Teller. The stretch of Fifth Avenue in Manhattan from 15th to 24th Streets was once so packed with the original locations of department stores such as Arnold Constable, Bergdorf Goodman and Lord & Taylor that it was known as “Ladies’ Mile” due to the crowds of women who would visit the many stores in the area. Although Lord & Taylor is closing stores, it is also evolving with the times. In November, the company announced a partnership with Walmart, and it plans to roll out a store over the next few weeks on Walmart.com that will feature 125 brands such as Vince Camuto and Tommy Bahama. Walmart has been redesigning its website, which will offer two shops, one for everyday brands such as private-label products and another for premium brands, such as Lord & Taylor. Walmart plans to regularly add new brands and products to the two shops over the coming months. New York City retail will also survive and evolve. According to the latest available data, the metropolitan region had a GDP of more than $1.65 trillion in 2016, and that figure was up more than 3% from the prior year. Retail trade totals about $76 billion per year in New York City, and the industry employs nearly 135,000 people. Those employees earn more than $12 billion in annual wages, and they pay taxes, which feed back into the local economy. While the Lord & Taylor flagship on Fifth Avenue is set to disappear, the brand is expanding online. The only constant in retail, particularly in New York City, is change.